With so much information available online these days, homeowners sometimes think they don’t need to hire a real estate agent to buy or sell a home. The internet and some advertising make it seem like a simple process that can be easily navigated without an agent. And in some situations that might be true. 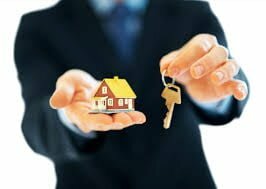 In most cases, however, having a real estate agent working for you is still the most effective way to make sure your interests are not only represented but protected. Not entirely convinced of the benefits of using an agent? 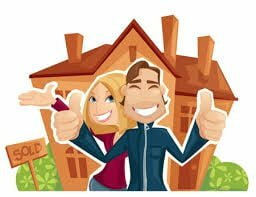 Just for you, here are 10 reasons why you should hire a professional real estate agent when you are buying or selling a home. Do you know know all about the zoning in your neighbourhood? Will you be able to answer questions from a potential buyer about set backs, future development or changes happening to the local schools? A good local real estate agent will have answers to all of those questions and more. S/he will also know what questions to ask to make sure that you’re not buying a property that locals avoid or one that has had a checkered past. You don’t need to know everything about buying and selling real estate if you hire a real estate professional who does. Agents have the education and experience to make sure your best interests are being served and that you will benefit from a real estate transaction rather than being hurt by it. Besides, do you have the time to personally handle every showing appointment, phone call and the completion of all of the paperwork involved in a real estate transaction? Most of us are looking for ways to free up more precious time in our lives, and hiring a pro will give you that time while alleviating some of the stress you’d feel if you were handling every step of the process by yourself. A good agent knows every detail about the neighbourhoods they cover, and if there’s something they don’t know, a good agent knows where to look to find the information they need. They can talk to you about the pros and cons of different neighbourhoods, identify comparable local sales and help you find out about details specific to the property or area in question schools. Think about this: you may know that a home that sold down the street was listed at $350,000, but an agent will know what kind of upgrades had been completed and that it sold for $285,000 after 65 days on the market and after two offers fell through. And how about this: if you grew up the city and you’re looking at a country property, do you even know what to ask about regarding the septic system or well? Real estate agents do not set prices for buyers or sellers, clients often have a pretty clear dollar amount in mind before they begin talking numbers to their agent. What an agent will do is help clients to make informed decisions based on local data and market conditions. Elements such as the average price per square foot of similar homes, median and average sales prices, average days on market and ratios of list-to-sold prices, among other criteria, should all be taken into account. A real estate agent can provide that valuable information for you and help you determine how closely it applies to the property in question. 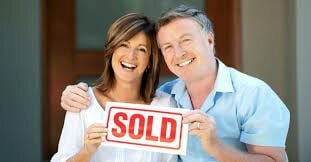 Real estate agents network with other local professionals, many of whom provide services that you will need to buy or sell. Whether you’re a buyer or seller you’ll need a real estate lawyer, a lender, maybe an insurance representative or a home inspector. A real estate agent will know which professionals have got a reputation for being efficient, competent, and competitive with pricing. Who wouldn’t want to benefit from that knowledge? One-page deposit receipts might have been prevalent in the early 1970’s but this is 2018. Today’s purchase agreements run ten pages or more…and that doesn’t include government-mandated disclosures and forms! When you add in receipts, warranties, waivers and additional documentation, most real estate files are a couple of inches thick. Are you prepared to take full responsibility that you have completed every document necessary for your transaction? One tiny mistake or omission could land you in court and potentially cost you thousands. Even if the transaction progressed smoothly, problems sometimes do pop up right before closing and sometimes even after the fact. A good real estate agent will be able to straighten out any confusion and aid in resolving any issues. You don’t have to handle things by yourself, an experienced professional will be happy to stand by and assist. If you have any questions or concerns about real estate, I would be happy to do what I can to help. Buying or selling, I will do my best to represent you professionally and to provide you with a successful and effective real estate experience.